It's Mid-November, and it's time to start thinking about our backyard feathered friends. I already have my resident Cardinals "yelling" at me in the morning because the feeder is empty, so I've got to get going myself. By now the shelves at your local hardware or big box should be stocked to the gills with bird seed. I suggest taking a weekend to see if you can identify what kind of birds take up residency in your yard for the winter and purchasing your birdseed accordingly. However if you don't have the time you can always buy a blend that will accommodate just about any bird. If there are birds that you'd like to see search out what kind of seed(s) or food will attract them, and try to attract them. I've outlined some tips on attracting, and taking care of your yard birds below. Suet provides the calories needed to keep birds warm in the winter. There are multiple ways to hang, but the most popular would be a suet feeder seen here from Bestnest.com. There are other suet feeders, but I found this to be the most popular. 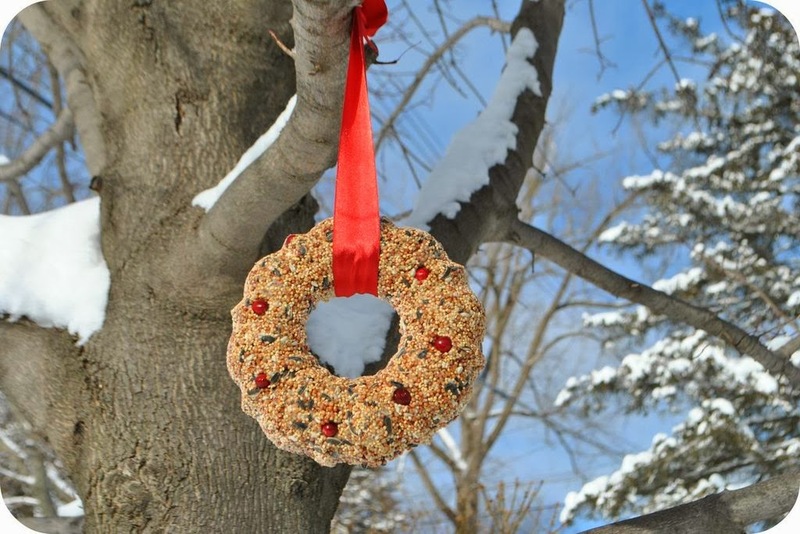 You can make your own suet with this recipe from garden gate magazine, and if you’re creative you can even make these Birdseed Wreaths and Ornaments which make great gifts as well! Another great winter food is Oil Sunflower. This food is also high in calories, but make sure it’s Oiled Sunflower and not stripped sunflower. Oiled sunflower offers twice the calories as stripped sunflower. Don’t like the “heel” or ends of a loaf of bread, then throw it in the yard. Birds love bread and this is a great way to attract new birds. I remember when I was young my grandparents always bought a loaf of “day old” for the birds. This one’s easy, put out a bird bath. If you live in a cold climate like I do you might want to buy a heated bath or a heater to keep the water from freezing. I’ve found that if you keep up on putting fresh water in the bath the water won’t freeze but that’s me I’m out almost every day to check. You can also put out bowls or the like filled with water, the birds will use them trust me! Don’t cut your ornamental grass as it provides great shelter during storms, and chilly nights. Don’t take down bird houses. Be sure to clean out old nests to get rid of parasites, but try to leave them up for the winter you’re sure to attract birds with the real estate! I’ll even try to leave large branches from my late season trimming projects. I’ll actually lay these over my borders, the birds use them and they keep the deer out of my beds. This entry was posted in Birds, DIY, Homeowner, Landscaping, Uncategorized and tagged Amsterdam, Apple Inc., bird watching, birding, Brasserie, Bread, County Durham, Creative Commons, Facebook, Facebook features, Google, the perfect garden hose, Twitter. Bookmark the permalink.